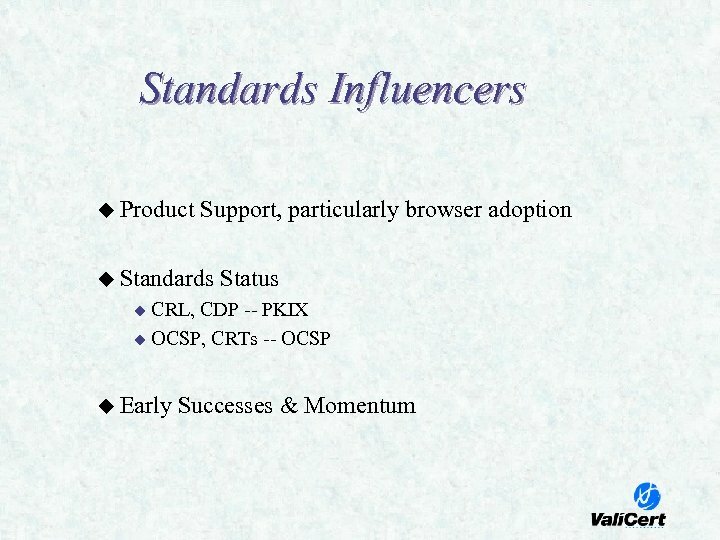 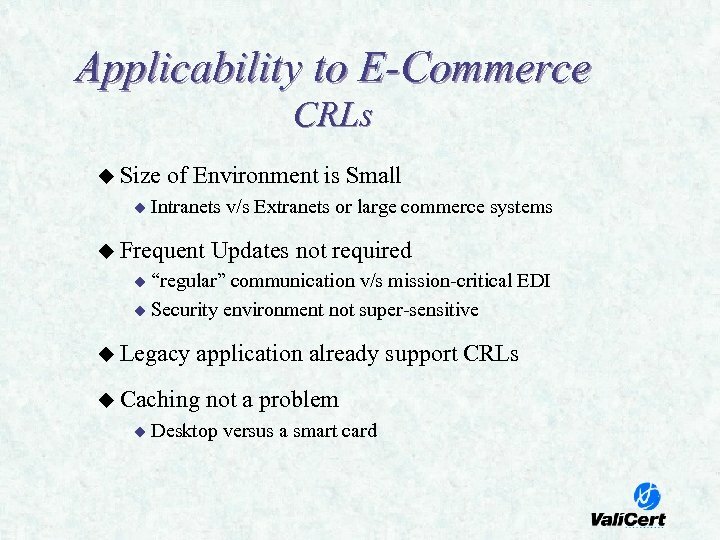 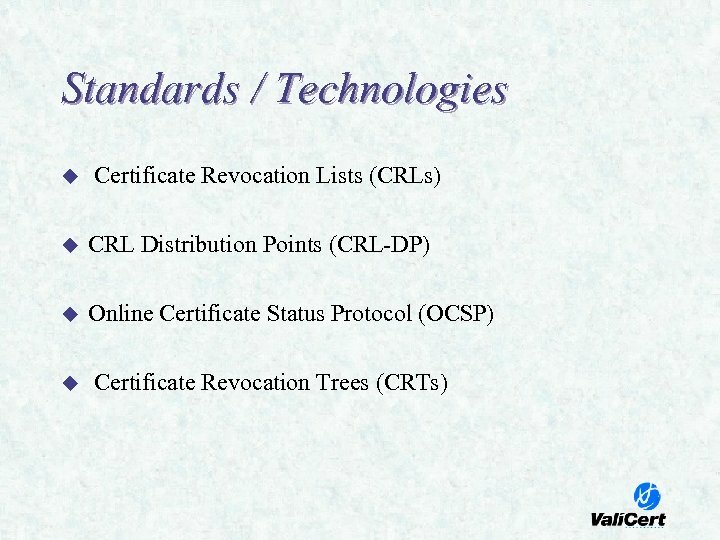 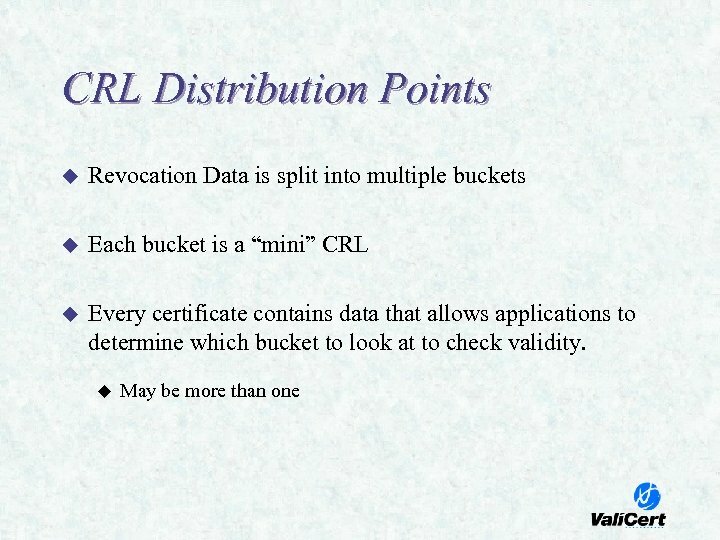 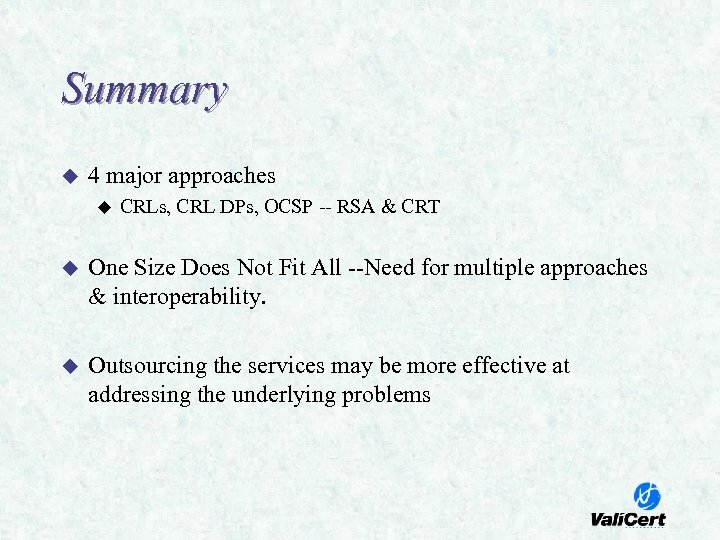 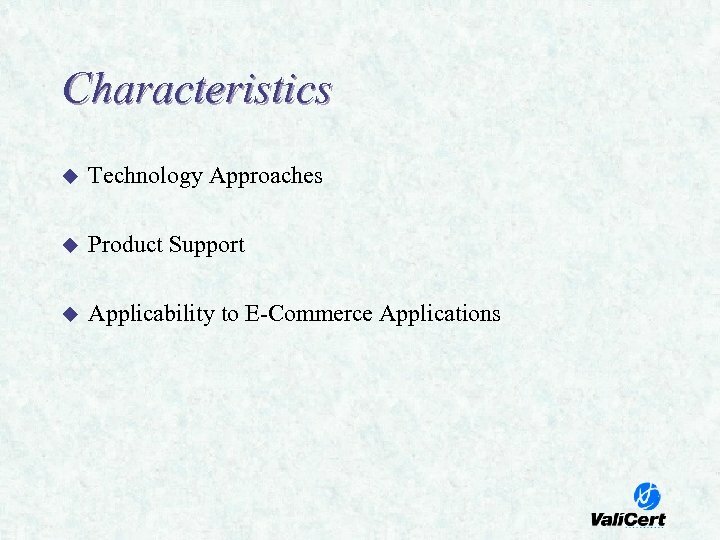 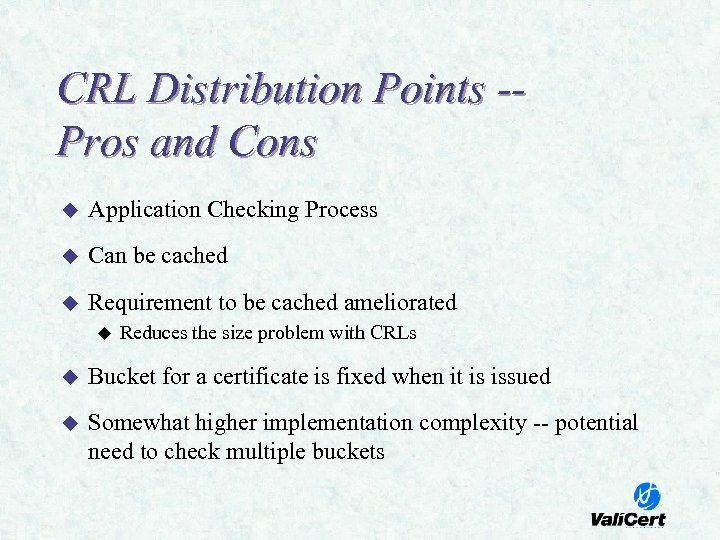 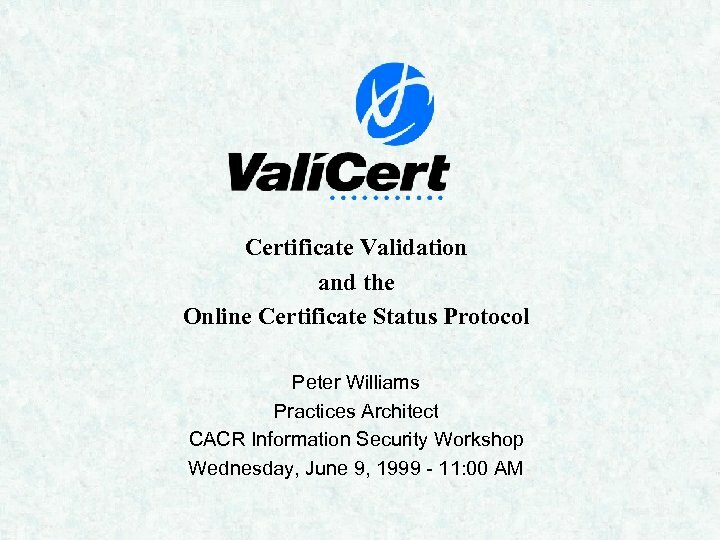 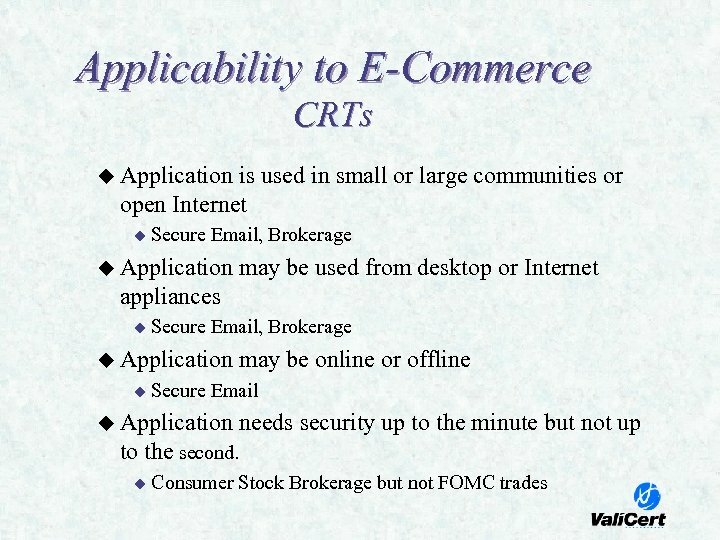 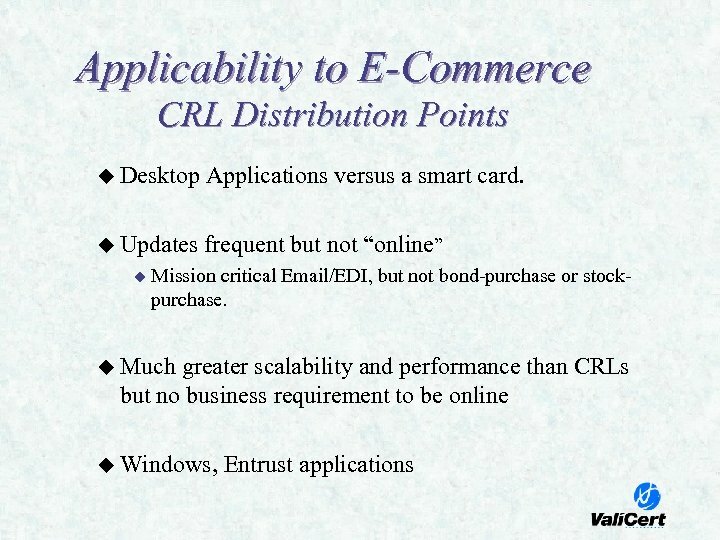 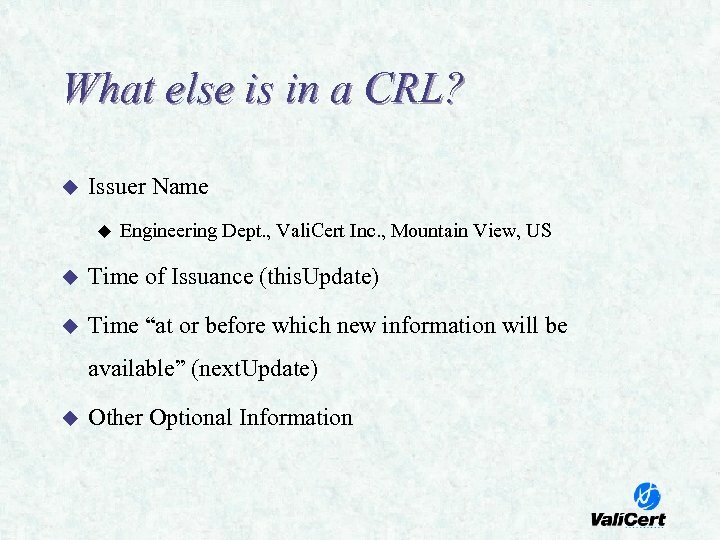 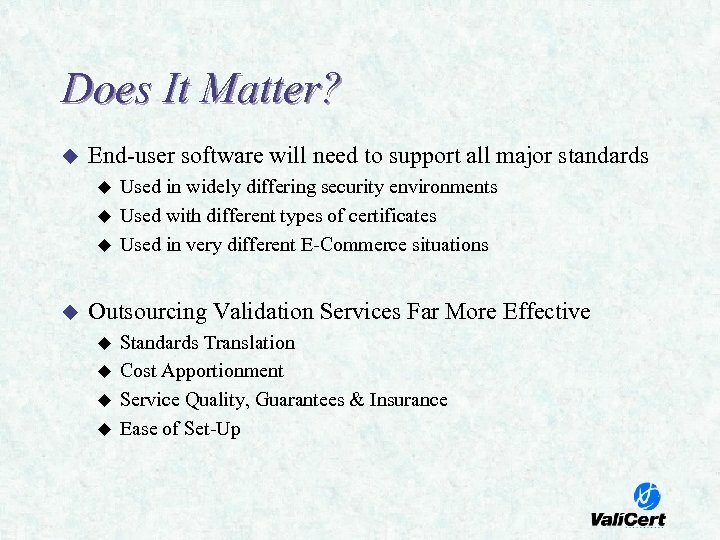 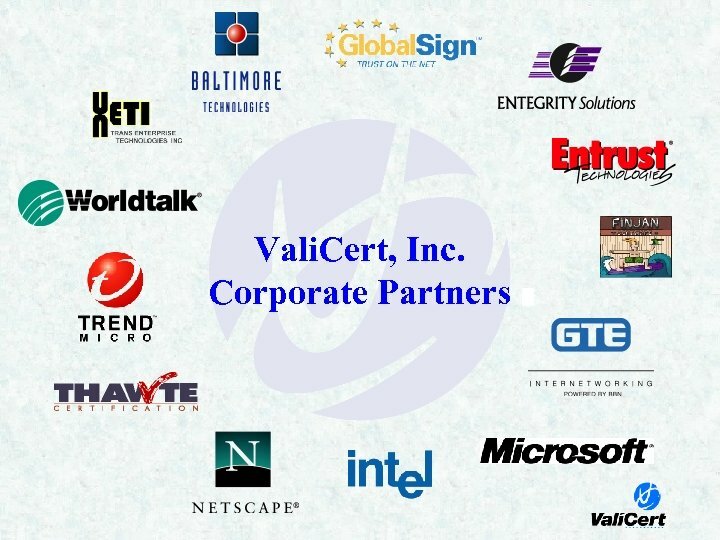 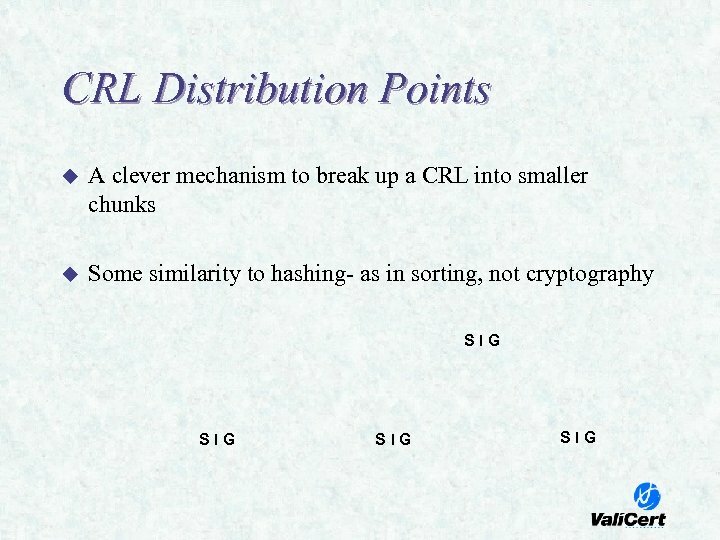 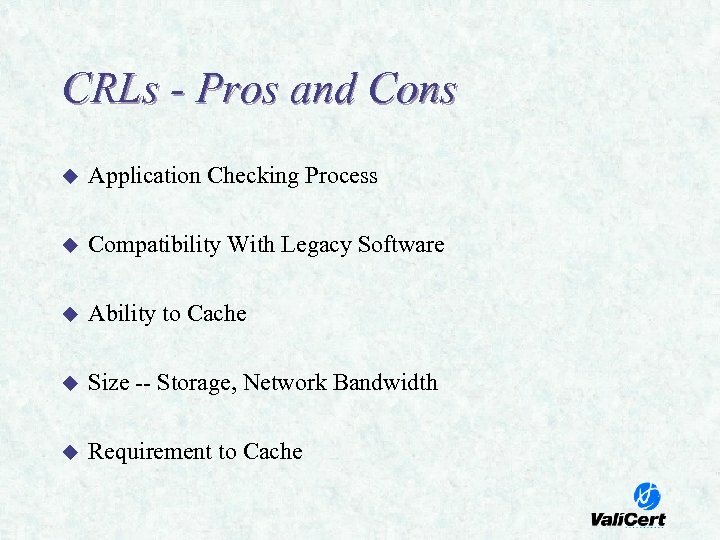 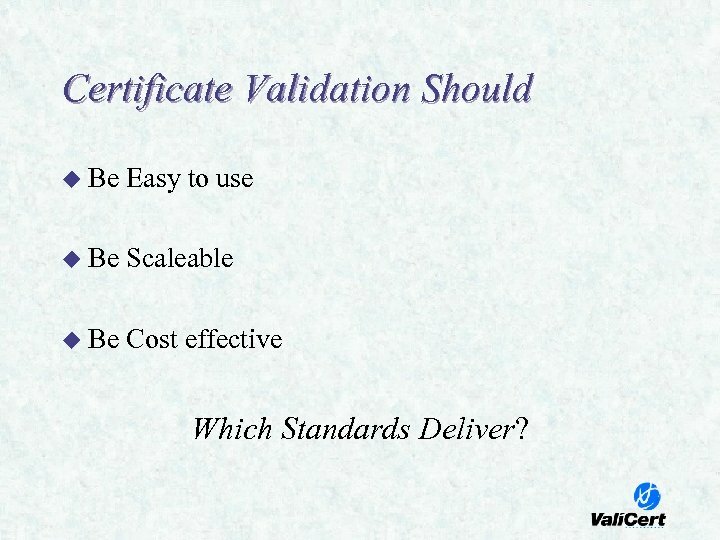 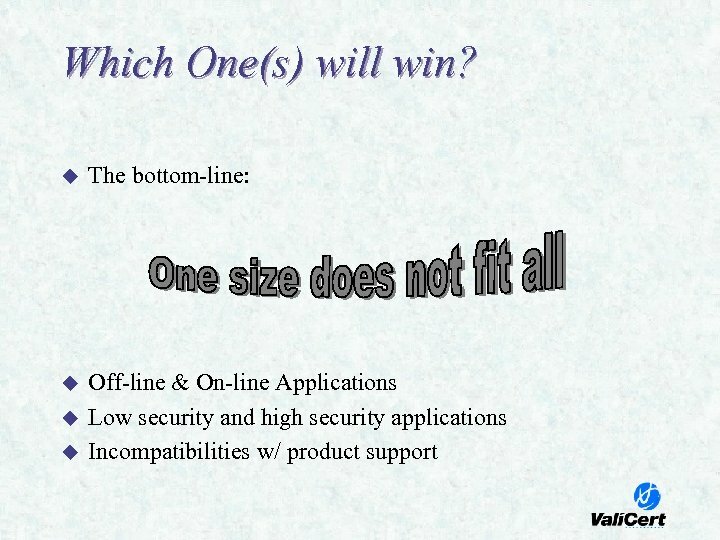 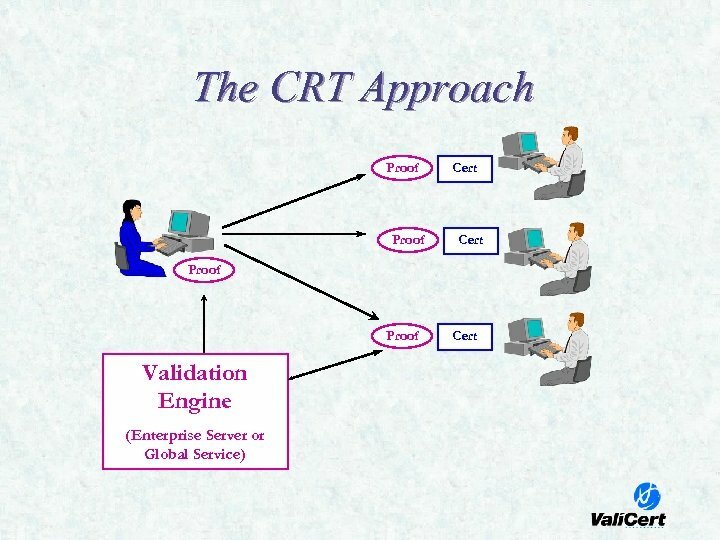 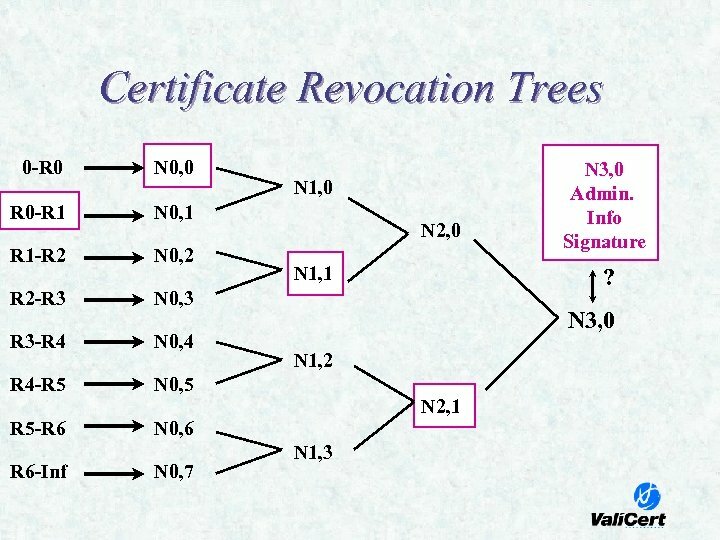 Certificate Validation Should u Be Easy to use u Be Scaleable u Be Cost effective Which Standards Deliver? 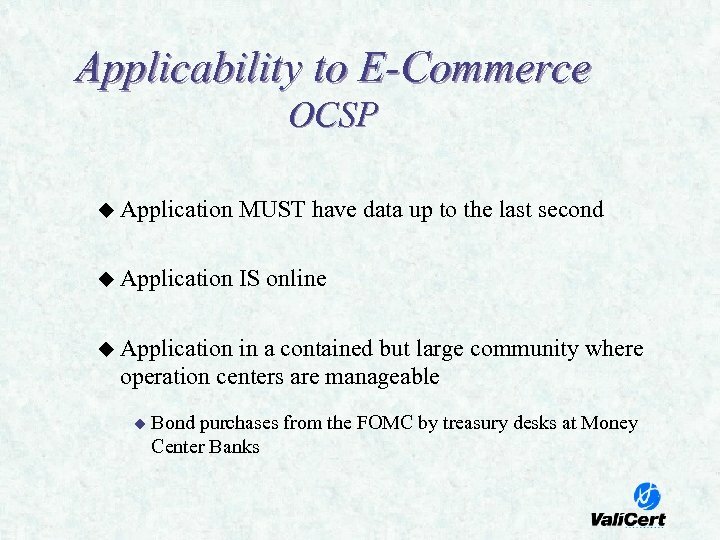 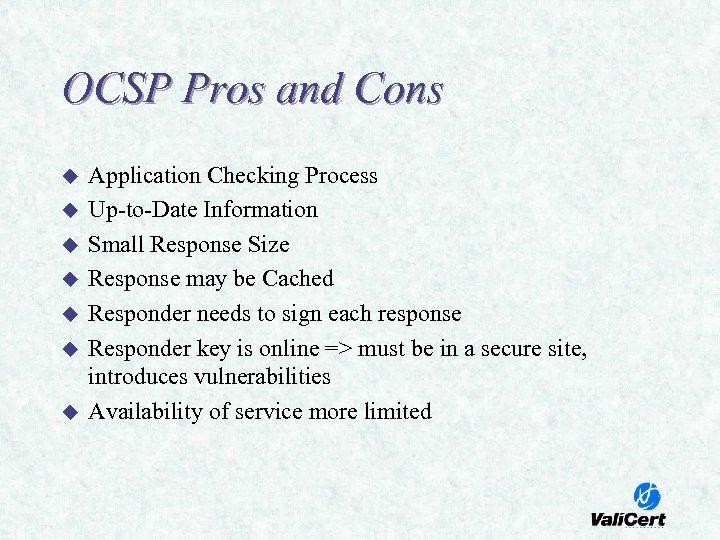 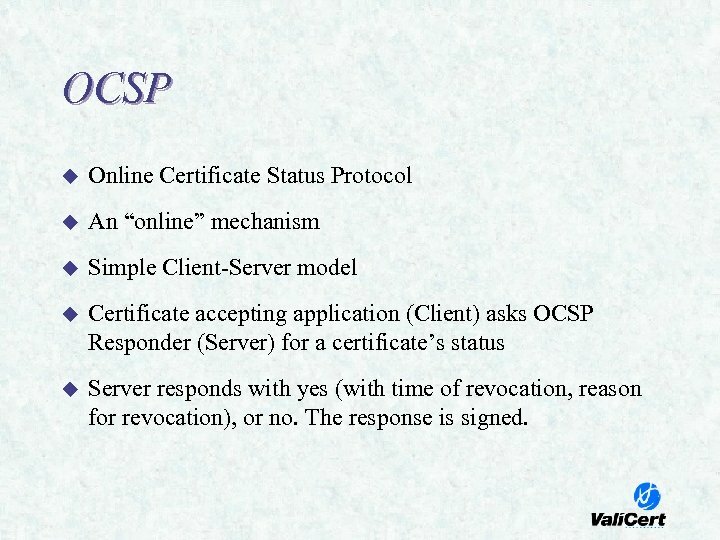 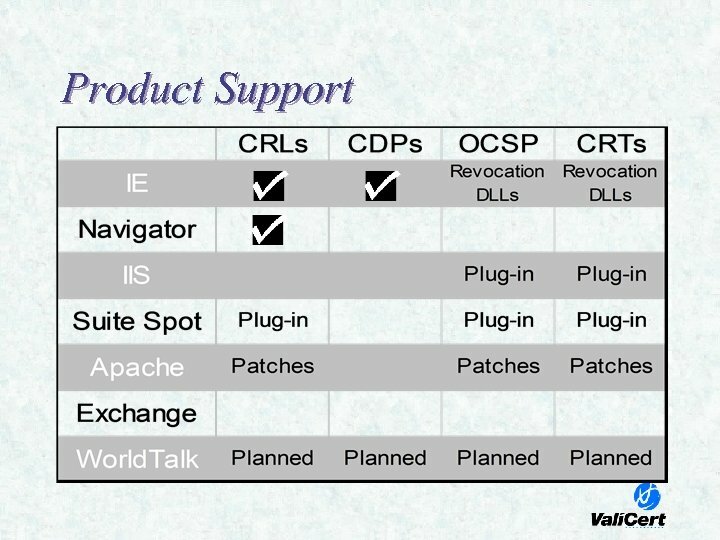 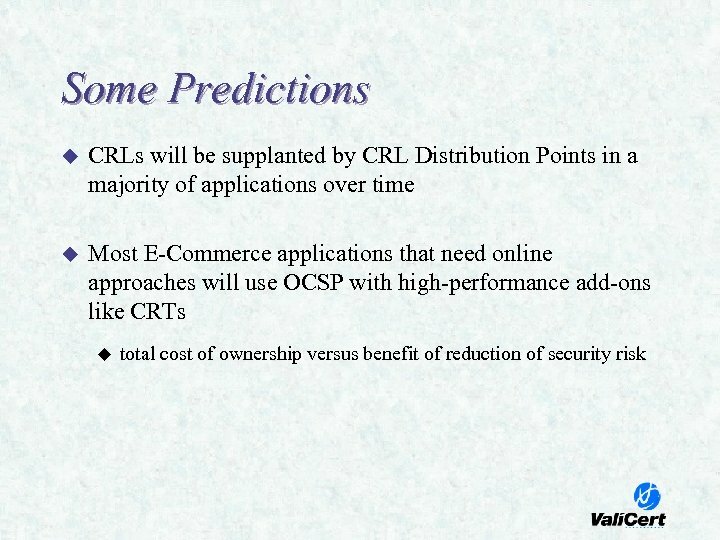 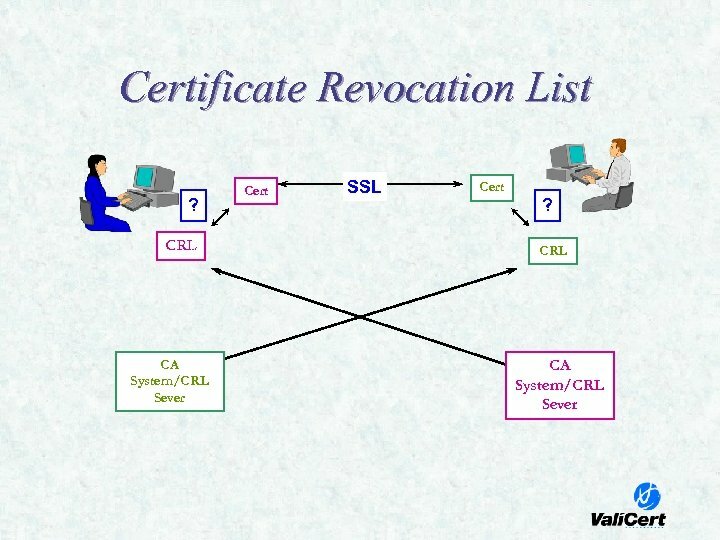 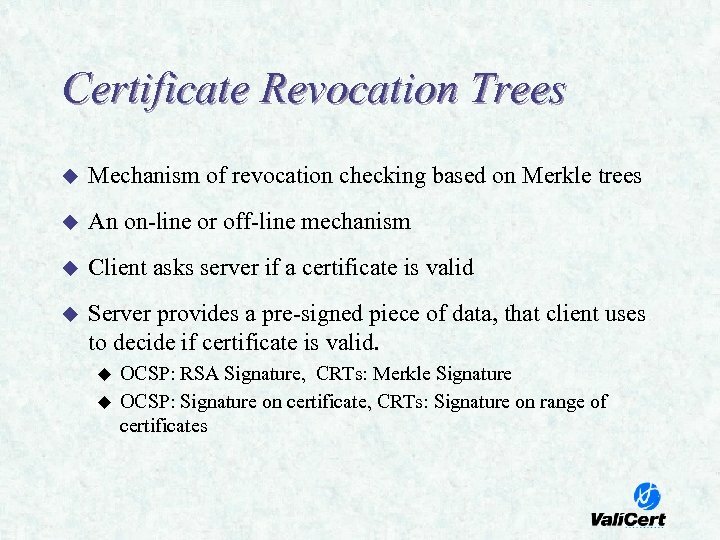 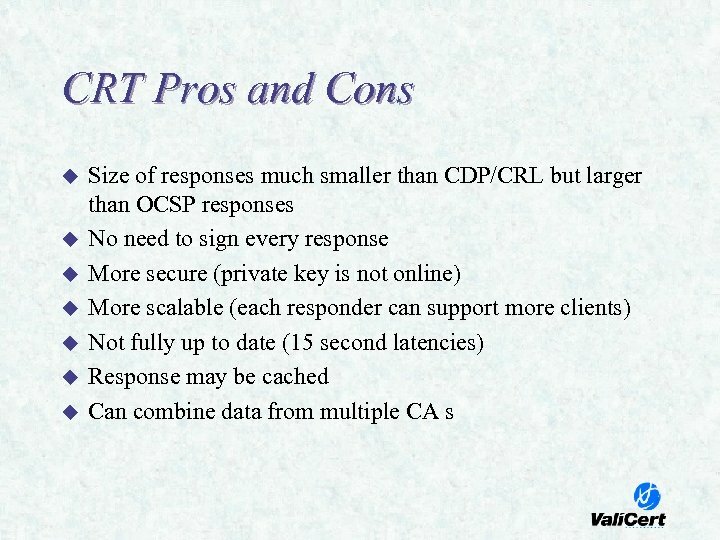 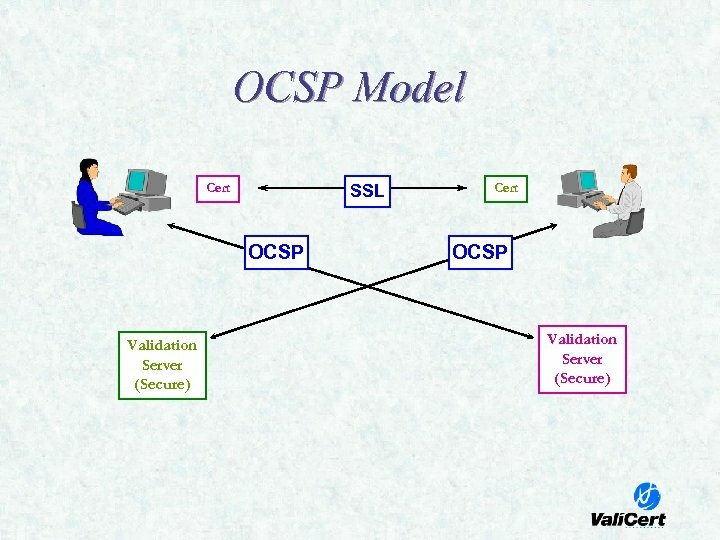 OCSP u Online Certificate Status Protocol u An “online” mechanism u Simple Client-Server model u Certificate accepting application (Client) asks OCSP Responder (Server) for a certificate’s status u Server responds with yes (with time of revocation, reason for revocation), or no. 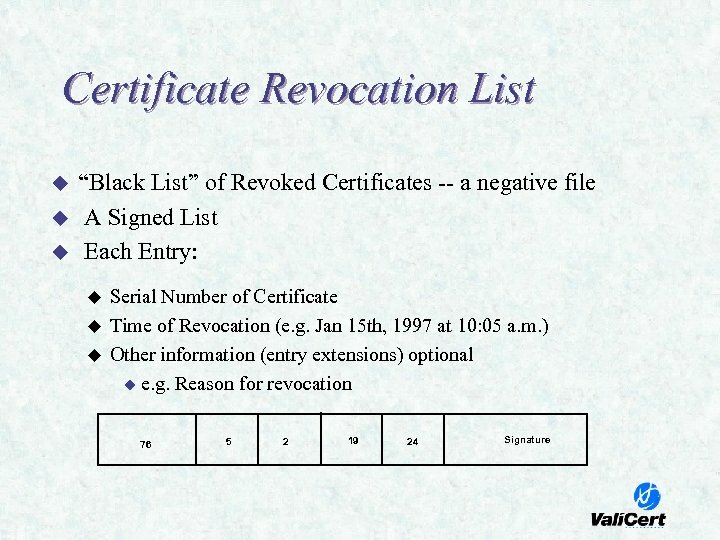 The response is signed.